Digital Marketing is taking a rapid leap into being the best marketing tool for almost any business entity, making sure customer interaction becomes an intimate and frequent one. Quick fact: Australia now ranks 3rd in digital ad spending, meaning among others, their mobile advertising is huge, so huge that it outperforms both magazine and outdoor advertising sectors within it’s country. Here are a few digital trends straight from a reliable source which we fully agree with. These trends will surely succeed within the year of 2015. A single device is no longer the star of the show, now we deal with all kinds of smart devices that basically have almost all the media you need in one device. There are those who shop online using their smartphones on the go by simply capturing the picture and having a QR Code scan the necessary details and then there are the latter who shop all their goods from the comfort of their own home. The purchase intent are driven by several factors, including online reviews, pop-up ads and social media influence. Standard advertising that randomly targets consumers through a single channel is no longer cost effective. The way to really multiply your brands success is by reaching your customers through multiple media paths, get into session based tracking across channels including mobile phones, desktop, social AND traditional – basically tackle them all! Data is expanding exponentially, with user generated content being at the heart of it all. Worldwide, close to 2 billion photos are uploaded onto the internet via social media on a daily basis. There are over 1500 points of data on the average online user, gathered from platforms like Google Search, eCommerce and Social media. Nowadays, it is alot easier to track and make sense of data used within businesses and huge companies, by the use of real-time automated tracking of customer communication and interactivity. For millenials and future generations, personalisation over privacy is becoming an actual trend, supported entirely by big data. As search and social engines get more intelligent, there are increasingly more results now than traditional / organic SEO results. There are paid ads, knowledge graphs, local search, product results, social signals and much more as Google keeps improving their algorithms to become more ‘HUMAN’. As the SEO strategy grows and becomes more versatile and harder to understand, the ability to track every click to a conversion means you now need to have an excellent understanding of all the terminology within your business in order to sell your products wisely. 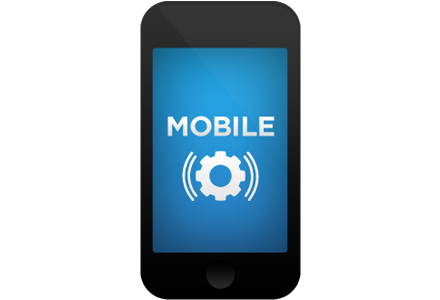 Mobile strategy is a necessity for businesses of all sizes. Smart mobile devices are taking over desktop traffic for every industry…and I mean EVERY SINGLE INDUSTRY! On mobile devices, games and social media get most user time and engagement, followed closely by first lands on your website which are increasingly from mobile devices. Apps are the kings of our time, booming with more and more users preferring mobile apps to mobile web. While the main barrier to apps is downloading them, location awareness and personalisation provides big advantages, not to mention the trust once users are integrated into them.